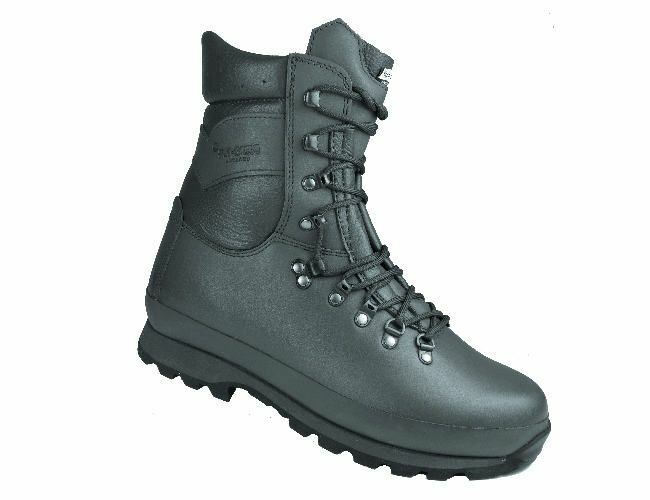 The Altberg Warrior boot is a popular boot and has been used in the field worldwide for over 20 years. It has seen action in the 2 gulf wars and now in Afghanistan and Glasgow. It has a new micro-lite sole that will give great absorption to shock.The 2.4 mm top quality leather and with AltBerg Tri flex sole This boot will give great support to the foot in any ground. See our range in our Glasgow store. Great for Police and security. These are the newest style and have upgrades improvements.This makes the warrior a more comfortable and lightweight boot. You would need to search hard to find a better boots on the market. With quality and a great price you will be struggling to find better The Altberg warrior boots are a top quality item with quality leather and vibram sole which will help to absorb a great deal of shock.